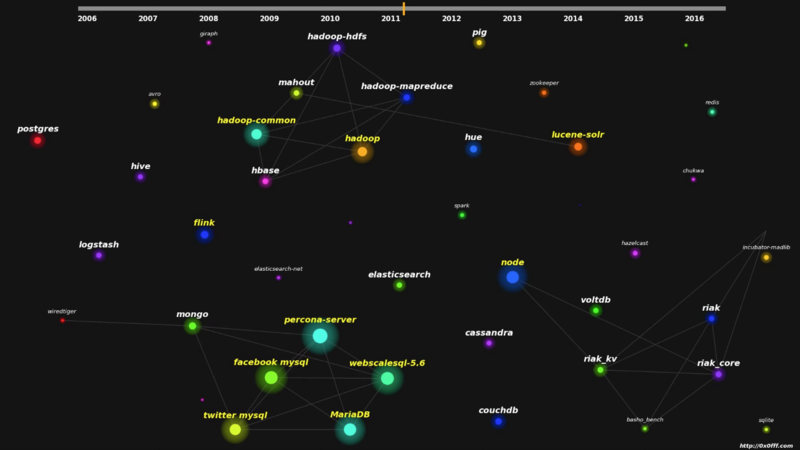 This entry was posted in Hadoop, Spark and tagged apache spark, community, github visualization, hadoop on March 29, 2016 by 0x0FFF. Hi, thank you for very nice visualization! How did you pick the projects to be part of the open source data community firsthand? There are quite a few missing. Are there any plans to keep this up or publish the scripts for to build such visualization? Picking projects was done in a following way – I has written down all the projects I could remember or know about their existence (around 70), then I run the first extraction from github using only these projects. After this extraction I processed recent commits of all the people who contributed to these 70 most popular projects to find other interesting projects, and picked of them the most popular ones.